Weight gain and other health issues can be common during events like Carnival and the Super Bowl. If you’re drinking alcoholic beverages, remember to pace yourself and drink plenty of water. And if you’re hosting, offer plenty of healthy options. (You can usually get by with 25 percent less sugar and butter than a recipe calls for.) 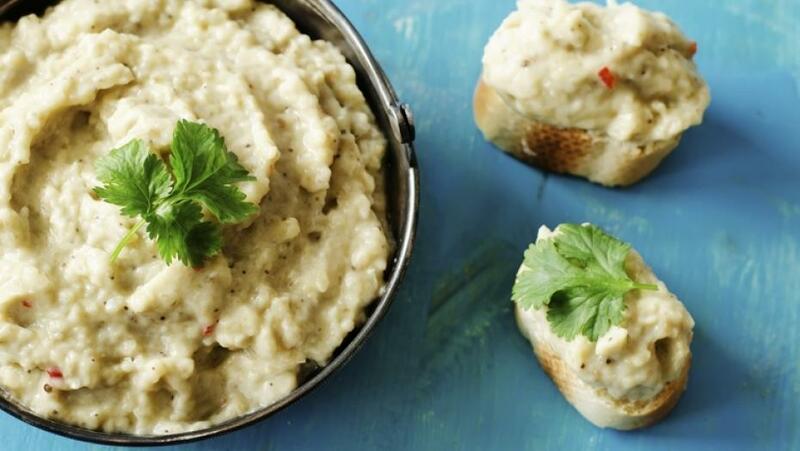 In that spirit, try this roasted eggplant dip—perfect for any season or occasion—by Marc Gilberti, executive chef of Ochsner Fitness Center. Note: Pita bread is optional. You can try sliced raw veggies instead. Coat a baking pan with nonstick cooking spray. Cut the eggplants in half and bake, skin side up, for 40 minutes at 350°F. After baking, let the eggplants cool for a few minutes. Using a spoon, remove the “meat” from the eggplants and place in a food processor. Blend until smooth. Add onion, olive oil, lemon juice, vinegar and cilantro, and marinate in the refrigerator for two hours. Toast the pita bread and cut into triangles. Arrange around the dip.